MOSCOW (Sputnik) - A Swiss court ruled on Wednesday to cancel its previous ruling to arrest Russian energy giant Gazprom’s shares in Nord Stream and Nord Stream 2 operators, Gazprom said in a statement. "On January 16, a court of the canton of Zug (Switzerland) decided to completely cancel its decision of May 29, 2018, on imposing interim measures in Switzerland against shares of Gazprom in Nord Stream AG and Nord Stream 2 AG and Gazprom's rights of claim against these companies," Gazprom said on Thursday. The arrest on the shares was imposed as part of Ukrainian gas company Naftogaz’s litigation against Gazprom. The project is due to be wrapped up before the end of 2019 and envisages the construction of two gas pipelines that will run from Russia, through the Baltic Sea and to a hub in Germany, bypassing Ukraine entirely. 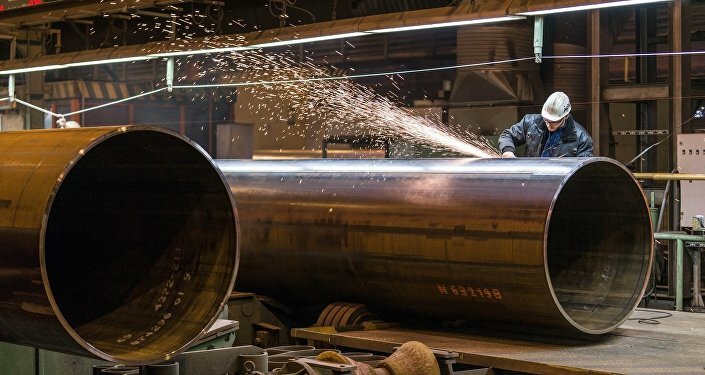 The United States has consistently spoken out against the project, claiming that it will increase Europe's dependence on Russian gas. President Putin, in turn, said that his American counterpart Donald Trump was pursuing the interests of US companies to sell more expensive LNG to Europe.